Worthing Warriors celebrate their first league victory of the season. All pictures courtesy of Rachael Ferris. Worthing Warriors secured their first win of the Women’s National Challenge South East East 1 campaign with a 41-39 away victory over Tonbridge Juddians on Sunday. Gabie Archer kicked things off breaking through the defence and scoring the Warriors’ first try. Tonbridge quickly restarted but the ball ended up in the hands of Jasmine Spalding who ran three quarters of the length of the pitch to score as Saz Longhurst easily converted. Action from Worthing Warrior's trip to Tonbridge Juddians on Sunday. 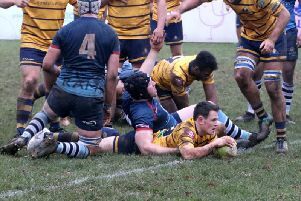 Tonbridge responded with two tries, one of which was converted drawing the teams level. Lucy Unsted soon found a gap and scored under the posts making for an easy conversion. A penalty to Worthing just in front of the post before half-time made the score 12-21. After the restart Lauren Owens battled through to score which was converted by Longhurst. Tonbridge scored four more tries but Worthing kicked penalty points before Archer scored her second. Alicia Pestell made a break to score her first ever try before Tonbridge scored, bringing the score to 39-41. Worthing Warriors overcame Tonbridge Juddians 41-39 to pick up their first league victory of the season. 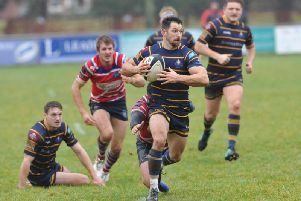 The Warriors next league fixture is on Saturday, December 9 as they host Romford & Gildea Park.